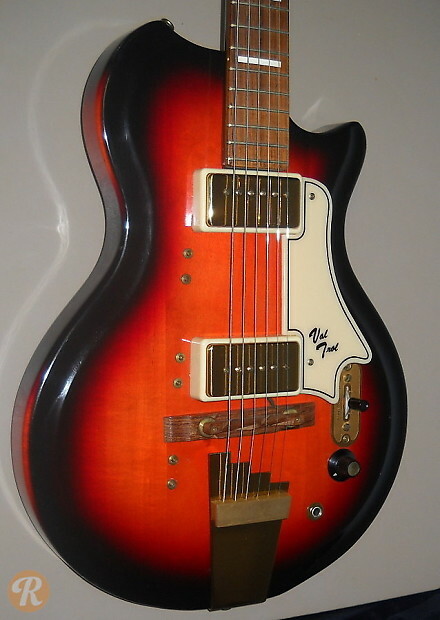 Supro was a lower-end brand of the National Dobro and Valco companies. Supro distributed through various department stores including Montgomery Ward under the Airline brand. With the Supro Rhythm Master, examples with a black stripe and the words "Vol Trol ' written on the pickguard are the most sought-after.